Snapped from the bus en route Nongkiaw to Vieng Thong: Hmong New Year courting ball game. Young men and young women stand in two rows facing each other, and while throwing a ball or orange back & forth, potential partners converse to get to know each other. 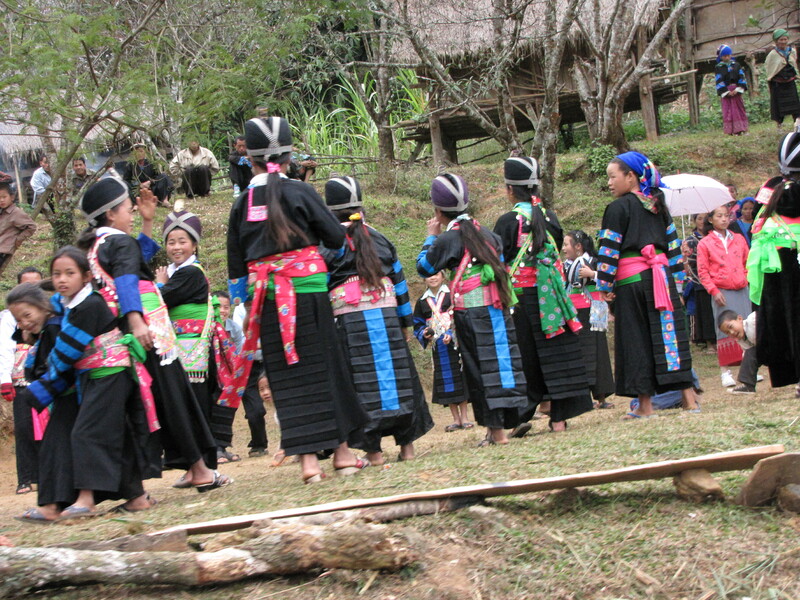 This entry was posted in Laos and tagged Asia, costume, Hmong, Laos, Textile by Wendy Garrity. Bookmark the permalink.